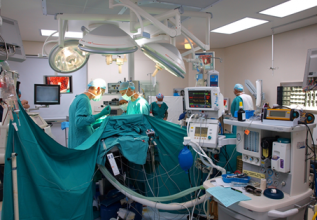 We are responsible for the neurosurgical management of patients at two internationally-renowned teaching hospitals, treating patients from across the Western Cape as well as elsewhere in South Africa and abroad. This clinical platform enables us to teach students, train specialists and pursue cutting-edge research into conditions relevant to our clinical practice. We have a tradition of close ties with colleagues in private practice, enabling us to contribute to the care of patients across our community and strive to contribute in all ways possible to the growth and leadership of our specialty nationally and internationally. Neurosurgery demands the highest standards of practice, while remaining mindful of the needs and priorities of a developing country. Our training program encompasses all aspects of modern neurosurgery, exposing registrars to the full spectrum of subspecialties. During their training, registrars have numerous opportunities to pursue research and are equipped with skills for lifelong enquiry. In this way, we strive to produce neurosurgeons who have superb clinical and operative skills coupled with the intellectual rigour to cope with a career in the fast-paced and rapidly evolving field of clinical neuroscience. an academic environment that nurtures honest reflection and innovative thinking.